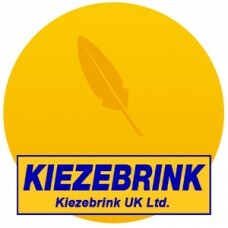 Kiezebrink can offer a wide range of poultry products as animal food. Other poultry includes french and english quail, pigeon, pheasant and turkey necks. For chicken, duck and day old chick products please see their respective categories in the frozen food section. +/- 300gm whole 3- 6 week old frozen chickens still in feather.Delivered frozen to your door. 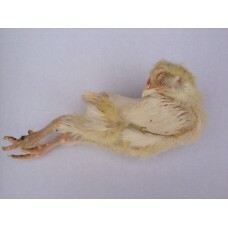 This i..
Top quality premium dressed pair of quails that weigh about 250gm each. Organs have been removed. 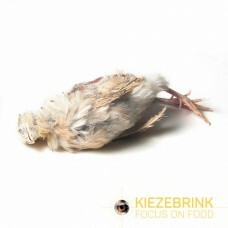 De..
A pack containing 50 frozen day old quail chicks to be used as animal food. Each quail chick weighs .. These English Quail are bred in the UK. &nb.. These prime Quail are bred in the UK. ..
Ex-layer English Quail are bred in certified hatcheries in the United Kingdom. 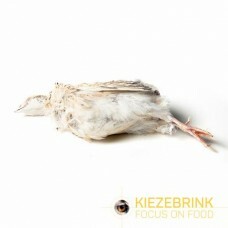 &nbs..
100% Quail; Body with head, without organs53% moisture, 16% protein, 24% fats, 0,1% fiber, 4,7% ash,.. 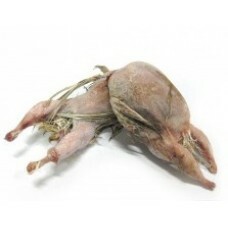 Frozen Quail Bodies 1kg Pack. These quail bodies contain organs, they do not have feathers, .. Frozen Quail Without Feathers. 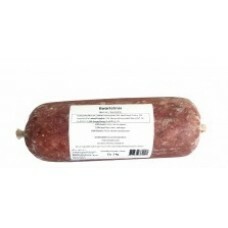 Available in a 5kg box.Delivered frozen to your door. This is a ra..
French Ex-layer quail +/- 310gms Also sold in 8kg boxes French Quail are bread in certified ha..
French Ex-layer quail +/- 310gms 8kg box. Approximately 25 quail per box. 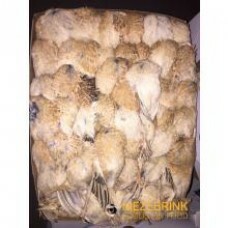 Also sold as singles..
French Large Quail 250 - 350gms 8 kg Box approximately 27 quail per box. 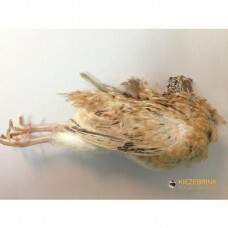 Also sold a..
French Large Quail 250 - 350gms Also sold in a 8 kg BoxDelivered frozen to your door. 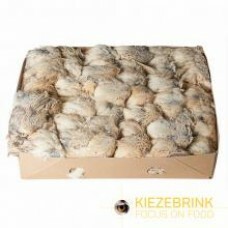 T..
French Small Quail 100 - 170gms 8Kg Box approximately 50 per box This is raw animal food only. No..
A 3kg frozen pack containing pheasant carcasses. The breasts, legs and wings have been removed from .. These pigeons come from companies that supply pigeons for human consumption. 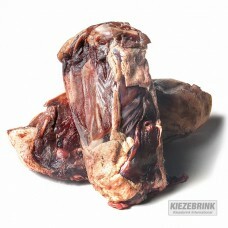 These are ex-racing pig..
A 5kg pack containing frozen turkey necks. This is raw animal food only.Delivered frozen to your ..